No set boundaries. No set instrumentation. No two performances are the same. Every ensemble interprets the score differently. These scores are for written solo performance, collaborative performance, new music ensembles, percussion ensembles, or electronic music ensembles that are looking for pieces with flexible instrumentation. The scores consist of a combination of traditional notation, graphics, charts, and electronic media which are used as performance guides and materials. 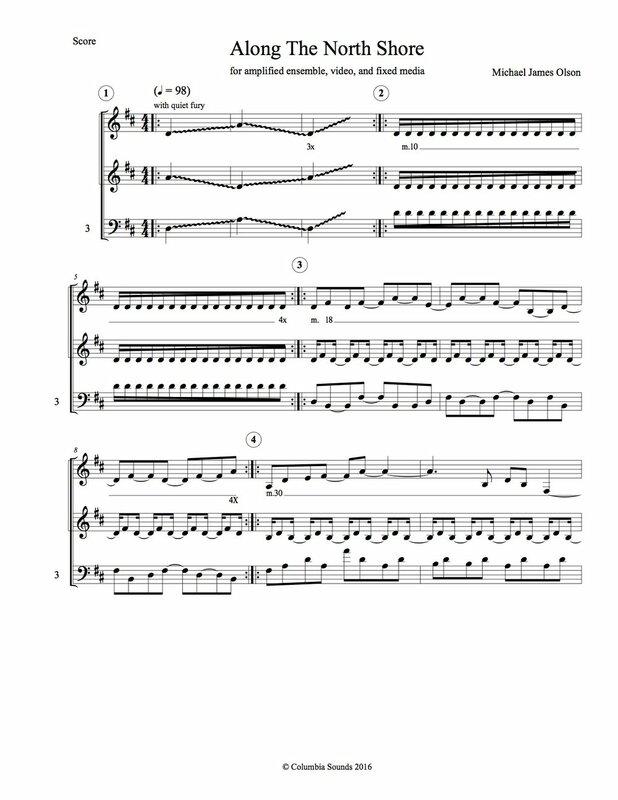 Below are some score examples for pieces, and live performance videos of ensembles performing them. For performance materials (full scores and accompanying electronic media), please contact me at m@michaeljamesolson.com.